Microsoft Corp., the world’s largest software maker, will announce a version of its Windows computer operating system that runs on ARM Holdings Plc technology for the first time, said two people familiar with Microsoft’s plans. The new product will debut at the Consumer Electronics Show in January, said the people, who asked not to be identified because Microsoft’s plans are confidential. The software would be tailored for battery-powered devices, such as tablet computers and other handhelds, the people said. The operating system would give Microsoft another way to attack the market for tablets and phones, where it’s lost ground to Apple Inc. and Google Inc. ARM chips -- made by Qualcomm Inc., Texas Instruments Inc. and Samsung Electronics Co. -- are used in most smartphones, as well as Apple’s best-selling iPad. A full-featured version of Windows for ARM chips is the best way for Microsoft to make a dent in the iPad’s lead, said Robert Breza, a Minneapolis-based analyst for RBC Capital Markets. While Windows is dominant in the personal-computer market, it hasn’t parlayed that into tablet success yet. 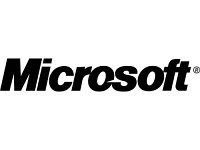 Microsoft rose 26 cents to $28.07 at 4 p.m. New York time in Nasdaq Stock Market trading. The stock has lost 7.9 percent this year. ARM’s U.S.-traded shares, which have more than doubled in value this year, climbed 6.6 percent to $19.78. The new software also will be able to work on Intel Corp. and Advanced Micro Devices Inc. processors -- the chips that power PC versions of Windows. While other versions of Microsoft software aimed at phones and mobile devices work on ARM chips, this is the first time it will make a full version of Windows available on that technology. Intel is trying to make its own forays into tablets and smartphones, squaring off against ARM’s technology. 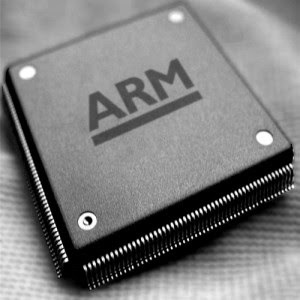 ARM, based in Cambridge, England, sells the rights to use its patents and chip designs and doesn’t manufacture the electronic components. Bill Cox, a spokesman for Redmond, Washington-based Microsoft, declined to comment. Charlene Marini, a California- based spokeswoman for ARM, said the company doesn’t comment on rumor or speculation. Tom Beermann, at Santa Clara, California- based Intel, also declined to comment. Apple sold 7.46 million iPads from the product’s April debut through September. 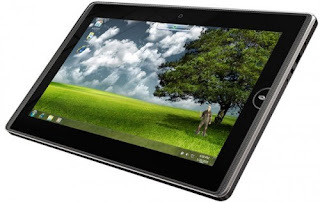 The device accounted for 95 percent of the tablet market last quarter, according to Strategy Analytics. Microsoft may be able to win 10 percent to 20 percent of the as many as 50 million tablets that will be sold next year, Breza estimates. He predicted that Windows tablets will be cheaper than the iPad.